In the world of spin studios, The Monster Cycle is less Taylor Swift, and more CBGB. This RPM (revolutions per minute) driven studio is decked out in rotating graffiti, art and fashion installations, and will take you into its dark classroom for cycling with an edge. Two large screens that feature music videos are there to visually inspire you as you get your sweat on to electro, house, trap, pop, dark pop and rock music. Choose your classes at your own risk, though: the NSFW and Magic Mike-themed rides deliver on their promises of edgy music video content and song lyrics. Classes Offered: The signature "cycle" class plus theme rides ranging from Daft Punk, Riot Girlz, NSFW, Magic Mike, Guns ‘N Roses, Run Tha Trap, Goth Pop, Metal Monday and more. Note: Check the most current schedule for updates and new classes. Why We Love It: On top of being a great sweat, The Monster Cycle’s music is cardio-heaven, and has been inspiring our own workout soundtracks. Classes fly by quickly, thanks to the built-in distraction of music videos that are synced to the target RPMs. Why It's So Effective: These classes provide 45-minutes of intense cardio, which burns calories and builds up aerobic strength. Know Before You Go: Arrive 10 minutes prior to class to check in and set up. Once the class starts, latecomers will not be allowed into the dark studio. Cycling shoes are available to rent for $2, or you may bring your own. Bikes accept SPD/DELTA/LOOK clips. All riders must clip in. Lockers are first come, first serve and locks are provided. Filtered water bottle filling station provided in locker room or Fiji available for purchase. 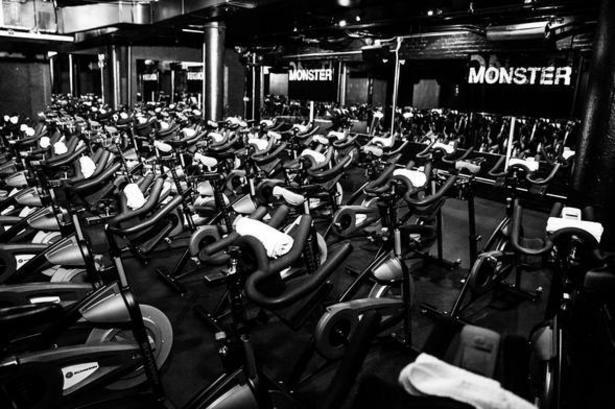 Don't Miss: Go crazy with class experimentation at Monster Cycle! 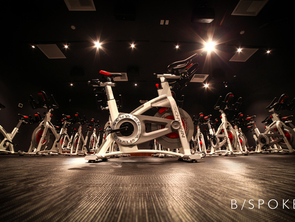 Whether it’s a completely dark, no video screen Guns ‘N’ Roses ride, a guilty pleasure Magic Mike Ride, or The Monster Cycle’s newest offering, spice up your spinning workout by trying different classes. Added Bonus: This studio has full amenities, including free towels, hair and body products, shoes for rent, lockers, showers, changing rooms and water for purchase. Plus, head to the blow dry bar behind the locker room so you can go from saddle to street in style. Ready to take a spin with an edge? 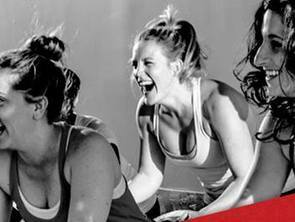 Reserve a class at The Monster Cycle today!